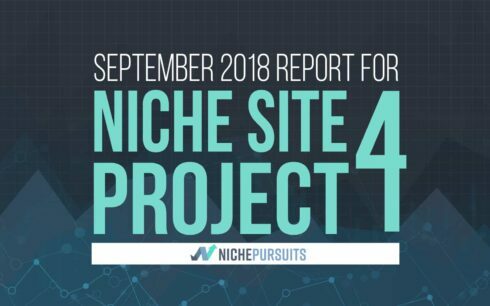 Niche Site Project 4 Monthly Report: September 2018! Another month has zipped by, and it's time to report for September 2018. If you want to catch up on everything going on with Niche Site Project 4, you can check it out here. Overall, I've made a lot of progress on my new site and I'm excited to share with you the latest. In addition, as I did last month in the August report, I've asked all the participants in the project to report their progress as well. You will find that report below as well. I wish I had some massive earnings to report, but alas, there are no earnings to report! However, that's in line with what I expected. In some ways, it feels like this project has been going on for quite a while now…but when I look at Google Analytics, the first visitor to my site came on Sept. 7th. So, that's less than 1 month from today is all. As you can see, my site received 258 sessions for the month of September. I should point out that around Sept. 13th, I check the box in Google Analytics to no longer track bot traffic, so everything after that is “real” visitors. Now, some of those sessions came from me and my writers (4 writers). So, the Avg. session duration is affected by that obviously. 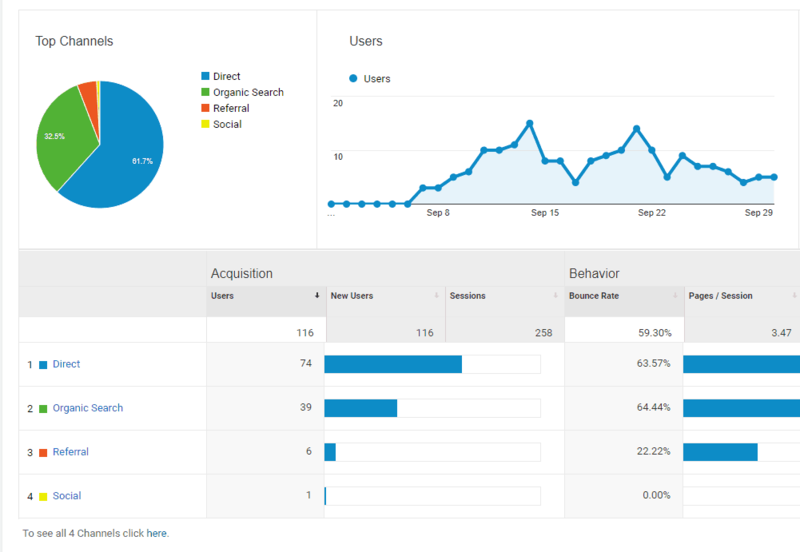 The organic traffic is the one I'll be looking to increase over the long term. Right now, most of the organic traffic is coming from Bing, with a little bit coming from Google as well. So, my Amazon affiliate links got 12 clicks total for the month, but no sales. Again, this was expected. How Long Will It Take For My Site to Make Money? This is a good reality check for everyone involved in Niche Site Project 4. My site got it's first visitor less than 30 days ago. Am I freaking out because I haven't made any money yet? Of course not! Getting traffic and ranking in Google takes time. At the initial start of the project, I projected that it would likely take 3 months or so before I see any real earnings. After 6 months if my site is making $500/month that would be a good trajectory. Remember, things start REALLY slow and feel like it's a snails pace. This is all expected and part of the process. Once I've put in the hard work for a few months, things will start to pay off. Having said that, I'd like to at least make 1 or 2 sales in the month of October. I think that's a good goal. My site will be live for less than 2 months at the end of October, and I think a couple sales is totally doable. What Was Accomplished in September? Now that you've seen the traffic and “earnings” screenshot, I'd like to share briefly what I focused on for the month. I now have 4 authors writing for the site and a total of 20 articles were published in September! I found 2 of these authors on Upwork, and the other 2 I found through the Niche Pursuits FB group. I'm paying approximately $15/hr for these authors, and for the most part they are doing a great job. I've created a “buying guide” template that they follow and complete a checklist to make sure the article is published the way I like it. In addition to the articles published, I did spend a lot of time getting the site to “look” just right. Even though I found a theme that I liked on GeneratePress, I still found myself spending time tweaking things like the sidebar, header, and colors of things to make everything look good. I also got a logo designed on Fiverr. It cost $12 in case anyone is wondering. I'm generally happy with the way the site looks now, but I may do a few more things like increase font sizes and header sizes in the future. For some reason, many people think SEO = links. I'm not one of those people. However, I know this is top of mind for people, so I'll just mention what I've done here. I left maybe 5 total blog comments on other sites. They are all no-follow links, and I didn't really do it for the link “power”. I'm just making myself known in the niche and may develop a more robust outreach plan to some of these bloggers in the future. In addition, my site has gotten a few “trackbacks”. This is just an automated link that some sites give when you mention their site in an article. Finally, even though I don't see Pinterest as a link building strategy but a social sharing strategy, I did create a Pinterest account. I have yet to create my first pin, but I'm getting closer! I'm working with a Pinterest branding person to help me come up with the best look and feel for my pins and will have a “template” in place using Canva very soon. Once that happens, I plan to start creating my own pins and getting the word up on Pinterest about my site. I'd be surprised if I don't get more traffic from Pinterest in October than Google traffic. But I'm hopeful that Google traffic will pick up shortly after that. Overall, I'm happy with the progress and look forward to building something significant! Niche Site Project 4 is not just all about my own website. One of the biggest reasons I do this project is to get others excited about the process and excited to build their own sites. Several hundred people have decided to start niche sites because of this project. Below you will find the brief reports and progress from everyone that wanted to report. At total of 73 people reported. As you can see below, a couple of people are definitely seeing some early success! I'd like to point out 2 of those people. The first is Jae Jun with an earnings of $889! What?! If you look at his report below, you can see that he provided a link to his website, so you can see it's not a traditional niche website. (I asked/allowed people to post a link to their niche sites or their blogs discussing their updates in more detail). I reached out to Jae via email to get more details, and it's legit. He's selling a Google Sheets Addon (which I didn't know was a thing). He's focused on building an email list and selling through the Google store. I've invited him to come on the podcast next week and discuss his progress and what's worked. So, stay tuned! Next is Ryan Faucher with $22.20 in earnings. No, it's not a significant amount of earnings, but its' a great start! In addition, he has a link to his full blog post that I recommend you check out. Overall, I love seeing the increase in traffic from people and hearing about the work they are putting in! 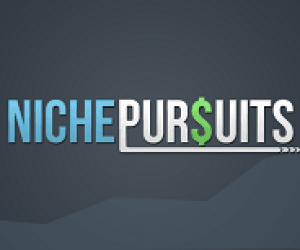 If you want to start a new niche site and start reporting…you can start now! Be sure to join the email list, and I'll email you at the beginning of each month asking for your monthly report. Join Niche Site Project 4 Here! Name or Nickname Number of articles total published on your site? Number of Total “Sessions” your site received in September 2018? Earnings for September 2018? 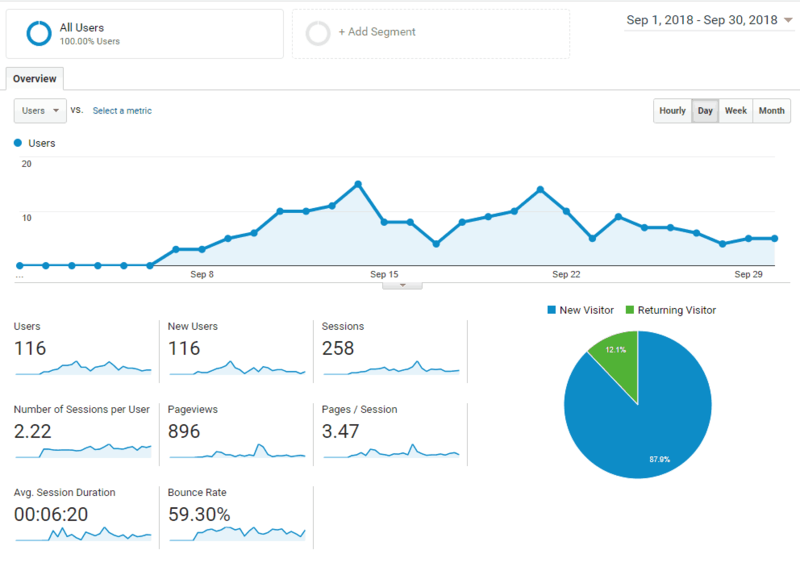 What was accomplished in September 2018 for your site? Got a good 12-15 articles published, got Adsense running, now have a few writers I can outsource to. i post 9 post , all of theim are like best …. I accomplished writing 10 more articles because i write all articles myself, and i also reviewed 10 high quality links, my goal is 100 post in the next few months. Nothing in September but I am in the process of hiring my first writer. Added another 10 articles to my existing 5. I'm concentrating more on writing quality posts. Literally nothing. I am ashamed that I didn't do anything last month for the site. I think I will publish about 20-30k words for the site in October. Not much. Hired a VA to write another article (she wrote the first one) and she ghosted. did research, bought domain, issues with hosting, got new hosting, signed to affiliate networks, approved, building site now. I published 4 articles 2,000 to 4,000 words and worked to improve my writing style. Nothing serious actually. My writer was sick, that's the reason she was unable to provide all articles I ordered. Hope this month (October 2018) will be the big point for me to turn into positive of the site. I am thinking to write a case study on my personal blog: https://authorityaid.com/. Pinterest profile is on point. Site comparison page templates have really come together. Instagram following 390. Contracted 2 really qualified writer. Most of my time was spent writing blog articles. 2000-3000 words per post. Started Pinterest account and growing this account, but minimal traction yet. Concentrating on building out content and building Google search and Pinterest traffic. Will not try to monitize site until traffic up to reasonable level. https://www.gorillaroi.com/ Google Sheets Addon was successfully launched. Marketing images and content for the Google store were uploaded with content marketing emails sent out. Published 2 new posts, Created Freebie, 30 minutes to schedule/update Facebook/Pinterest/Twitter accounts. Analysis Paralysis trying to commit to a niche. Changed domains, changed webhosts, then was hit directly by Hurricane Florence (evacuation, clean up, & 4 weeks of kids out of school so far had an effect…) Bought Thrive themes subscription, now designing new site & using KW scoring spreadsheet. Played w/ AhRefs, but like SEMRush better. Planning to begin hiring writers this or next week. I signed up mid September so I'm late to the party. So far, I've researched the niche and came up with a dozen articles which still need to be written. I'm building a small software service on to my niche which is close to completion. The software is a wizard that generates a card for an event. Once the card is complete, the user is presented with affiliate merchandise for that event. I'm aiming to have both content on the blog and the software service up and running by the end of this month. Done perfect technical SEO, created logo, installed and optimised GeneralPress theme, found writers ready to write for $10 per 2500-word article. Registered my domain, setup wordpress, added my about page and found a dozen keywords. October is my month to blast about 10 or more articles. I'm a little behind but I feel im heading in the right direction. Assisting with running a large school event and school break with kids at home for 2 of the 4 weeks has meant little progress in September. Wrote 3 articles. Created 18 new boards in pinterest, requested entry to 6 group boards, set up Buffer for twitter scheduling. No affiliate sales yet. – wrote a review of a company, let them know and now they're using it their marketing materials. Writer in place to help move content along. Added email capture. Finalised design and page layout. Continued to stay active with social media aspect of site. After a bad start in August, I can now say, I'm on track! I found my niche, I purchased a Domain, Installed and configured WordPress and I'm writing the first Articles right now. Also I started an Instagram Account on 28.09.2018 and allready got about 80 Followers in my Niche. On to a good Start in October! Planned out the content strategy. Added some content to the most vital pages and 2 blog posts. October is going to kickass! Logo and final layout done, social media accounts set up. Started in late September, so only decided on the niche, bought the domain and started setting up the blog/website. Lots of design work. 2 articles written by me from products we purchased just to review including YouTube Videos. I decided to give up on my original niche site and selected a new one so it took me almost 4 weeks to have the new site up and running, do some keyword research and publish two articles. Published initial batch of articles. Grow Social media followers. Post Link products on social media. Lucio 0 0 0 Niche reseach. I picked my niche. I have my domain bought. I have the theme chosen (I think) – will be bought when I am in funds later this week. I have the site struture mapped out. I am working on Keyword Research as well as mind mapping the content ideas for the cornerstone articles and supporting shorter articles – around 20 in total. Researched plugins – contemplated Squirrly but decided monthly fees too high. Will stick with my existing workflow. Foundations are in the ground and brickwork should be up to damp course level by mid month. Unfortunately I had to focus on another topics so there was no progress in September, but this month there will be much more happening I hope. Not a great month. Only published 3 articles due to a busy month at work. Hopefully next month will be better! I cant believe one month has passed already! I have hardly done anything haha! So far just got wordpress set up, theme chosen, logo created. I am still actively studying NSP 3 and following along with NSP 4. I expect to register a domain name and obtain hosting within one month. Writing more articles and keyword research. Posted 2 more articles. Reached out to some more authors. allshecare.com is our website. There are lot of improvements to be made. Need to improve on the quality on the website articles. Going forward, we plan to cite from reliable medical resources. Since I'm writing all content myself, it is slow going. I found 20 low-comp keywords and started writing the 3rd article (3,000+ words, should be published today). I also added a new theme to the site and installed/setup Yoast SEO plugin. To be honest i don’t have much to report, im still stuck at niche selection i struggle to do the work that is needed and ending up playing a game or somthing like that. Bit what i have done now it to buy and install Cold Turkey so i hope to manage rigth from now on. I hope for a better report next time. I have outsourced article writing and will publish 10 articles in October. I really only started working on the site this month, so not as much progress as I would have liked yet. I started to get more efficient producing content though, set up social media channels and started learning more about Pinterest. I also started networking in my niche and building relationships with some stakeholders. I think those will be of value once I start link-building. Not much accomplished in September, but I wasn't planning on working much until October. Life got in the way. October should be a better month. Got domain and the WordPress hosting. Also I'm researching my first 5 articles. I'm still dealing with some unexpected circumstances that have prevented me from spending time on the site. I may need to withdraw from the project at this time. I published a video on my YouTube channel, published three articles, created a menu, logo and made the site more navigational using the Divi theme. I'm creating an ethical bribe for my opt-in and looking into traffic sources. I added products from Amazon affiliates and will incorporate the links into future posts and on Pinterest. Going to push myself to do more content creation. To be honest this took a back seat as we got back into the swing of the school year. Looking forward to getting back to it soon. It’s slow going for me so far, but, like Spencer, after extensive research for my niche I decided to go a different route. I have my WordPress website set up, created a logo and placed my first “about me” page article. I have been building a large base of keywords to work from. I will have 10 articles ready to be sent out for outsourcing and published by next week. Afterwhich I will be posting 2 – 3 articles per week. Only thing I’d like to find out more about is the cost of articles. You say $!5/hr, but how long are authors spending on one article? I have a goal to write 100 more articles for my blog myself, but I estimate that will take me 2 years, so I’m strategizing on how to get some writers to help me move that along faster. I’m paying $15/hour and it takes roughly 4 hours to do a 2000 word article. Most of my articles are 3,000 words plus, but that gives you a general hour of the time it takes. Can you have your writers do a podcast on how they are writing solid 2000 word articles in 4 hours lol. It takes me hours just to research a topic. Let alone write about it. My God! If you’re not familiar with a topic, it will definitely take longer. I’m sure Spencer used writers who have professional backgrounds that are somewhat relevant to the niche of the site. I’ve shared this in Organic Traffic Formula and Niche Pursuits Insider only. Very encouraging article, thanks for reminding me how long it takes to get traction and sales! Question: when you have someone design a logo for you, do they do any trademark checks to make sure their (your) design doesn’t infringe on a trademark? Where do you find the box in GA to block bots? I didn’t know you could do that. Great update Spencer. Glad to see you already gained some traffic and clicks. Good job Jae Jun, can’t wait to hear you on a podcast. Thanks Roman. Hopefully you’ll get value out of the conversation I have with Spencer. I appreciate the shout out and kind words Spencer! Niche Site Project 4 has been highly motivational. I’m happy to see many people returning to fill out their reports. It’s going to take a lot of patience, but I think once people get out of the sandbox, they’ll start to see their hard work pay off. Absolutely! I think you are making great progress, Ryan. Making more money than me already :). Awesome to see how people progress! Thanks for the update and inclusion Spencer. Looking forward to sharing the details of what’s gone on so far. One thing I will preface with is that, I’ve run websites before and tried a lot this and that. Also had an site killed during the google panda update a 4 years back. Was an amazon aff site for natural shampoo. So we’ll have to see how this new style goes and whether I can get more traction out of it. What did you do in marketing to make that amount so early?!! That is really inspiring. What I did was launch a google sheets addon for Amazon sellers. The revenue was from subscriptions. What I’m doing in this challenge is creating a niche site and niche services based on demand of products or services that people are looking for as opposed to doing an affiliate site. I am little confused about what Jae Jun did, which resulted $880 in this short time. And the marketing was done as mentioned, i did not get it too. Someone also said a social share with 800 share. How? Thanks for sharing a good blog. Thanks for the update, I’m following along! And very goid idea to invite Jae Jun to the podcast, looking forward for that episode! Great post, but how Jae Jun get 800+ monthly, do have any tricks or idea? I can’t rely on adsense because there are still few visitors. I’m bummed I didn’t get my report in on time (I was out of town when you sent out the email.) Not a ton to report, but I’m getting some visits (just over 100 sessions), 3 strangers signed up for my email newsletter, and some clicks (a couple of clicks to Amazon, though no sales yet.) Regardless, I’m super excited and enthusiastic about this project! Hopefully I’ll have even more good news next month! Thanks for the update. It was informative and helpful. Good to see that you earning the traffic and progressing. It is tough to get the kind of results you want to see and you have o put all your efforts, but eventually you will see the results you want. Keep working on it and good luck with it.